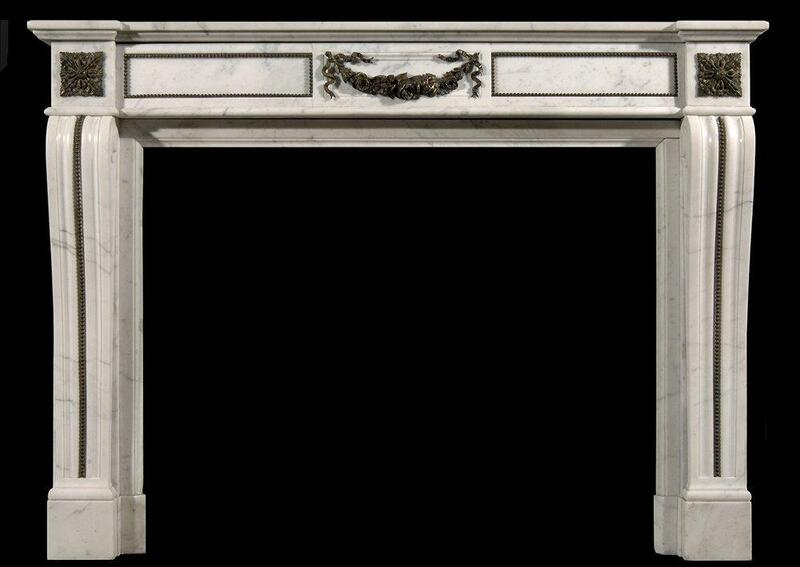 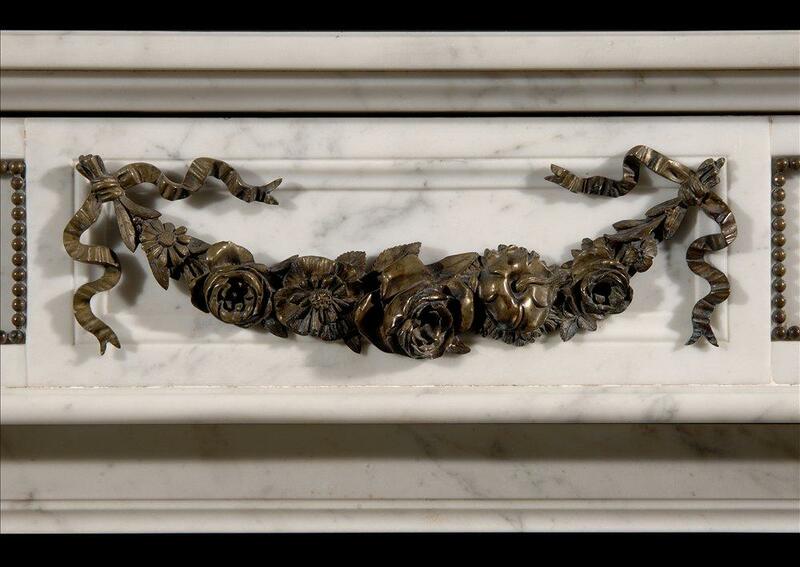 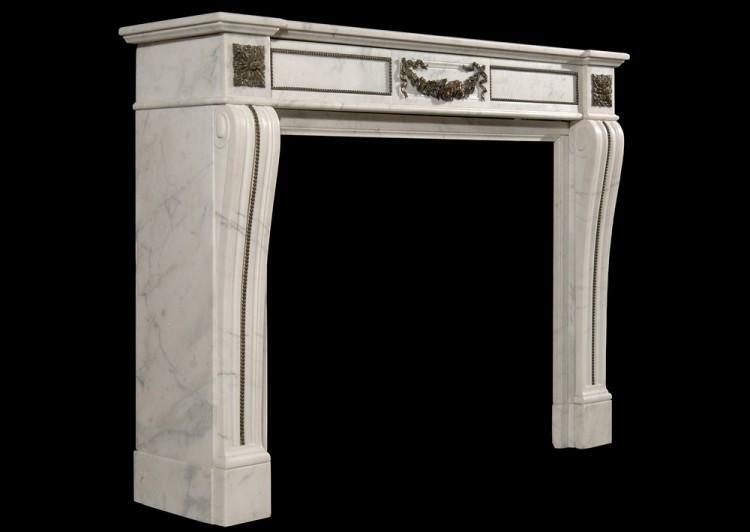 A mid 19th century (circa 1850) French Louis XVI style marble fireplace. The frieze with centre panel and ormolu garland decoration, the shaped jambs and frieze panels with ormolu beading, square paterae to end blockings. 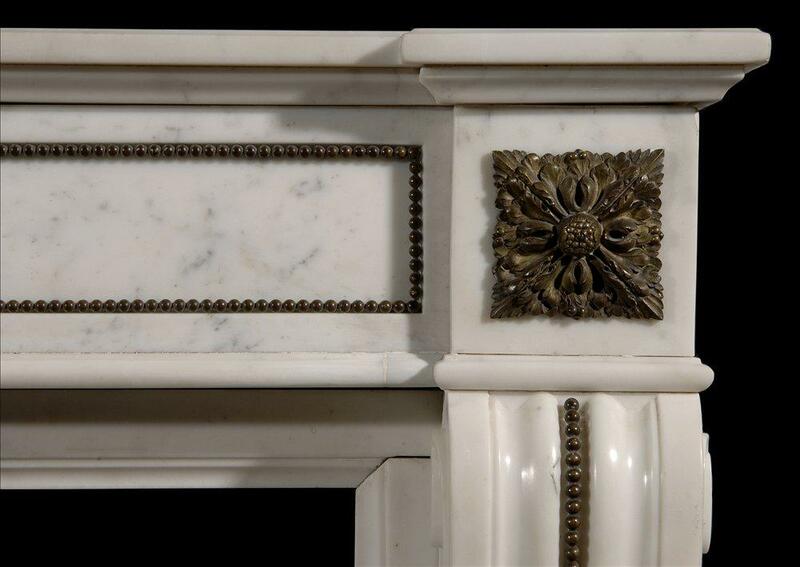 Breakfront moulded shelf.